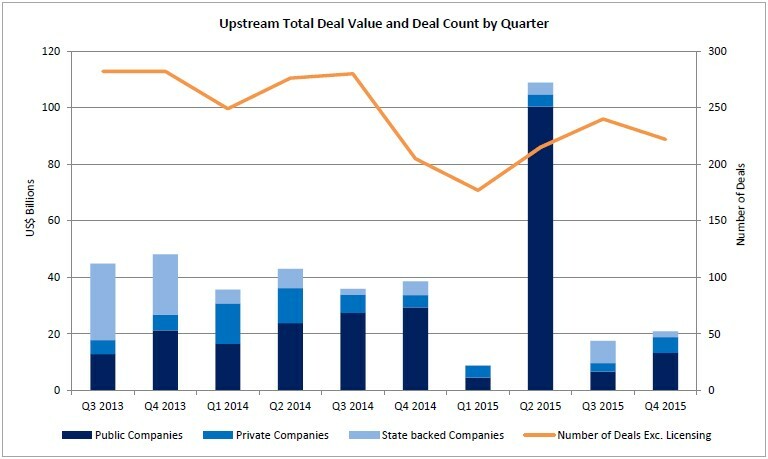 Despite a tumultuous year where a challenging oil price instigated a mass cull of investment in the industry, the overall M&A spend in the upstream sector still reached a credible $163 billion during 2015, according to Evaluate Energy’s Annual M&A Review for 2015, which is available for download now. 2015 marked the first full year since Saudi Arabia ramped up production and allowed free market forces to dictate the price of oil. 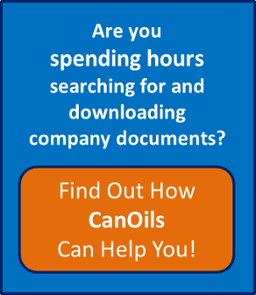 The oil price as per the WTI benchmark subsequently traded between $34.55 and $61.36 during 2015, averaged at $48.79 and ended the year at $36.36. This $163 billion figure represents only a 4% drop on the total recorded by Evaluate Energy during 2014 and a 10% increase on the 2013 total, which, on the face of it, does not seem too significant of an upheaval following the crash in prices. However, a great deal of this $163 billion is represented by Royal Dutch Shell’s $84 billion takeover for BG Group that was agreed in the second quarter. So, while production actually went against many predictions and did not fall dramatically following 2014’s price collapse, the upstream M&A market did falter, with many unfortunate, highly-leveraged companies being forced to focus on survival rather than M&A or expansion strategies. 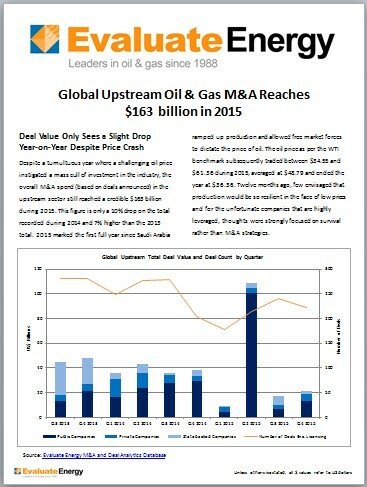 For a full, in-depth review of 2015’s M&A activity in the upstream oil and gas sector, download the full M&A review from Evaluate Energy at this link.